We are fully ATOL bonded so you have full financial protection when you book your flight inclusive holiday with us. US Airways – Daily (1 stop) services to Orlando, Tampa and Miami. Continental Airlines – Daily (1 stop) services to Orlando, Tampa and Miami. Delta – Daily (1 stop) services to Orlando, Tampa and Miami. United – Daily (1 stop) services to Orlando, Tampa and Miami. 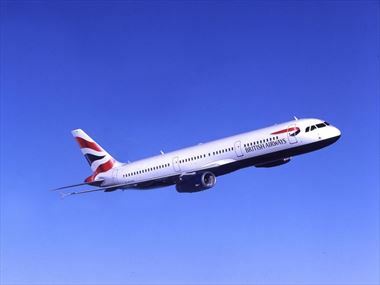 British Airways offer direct daily scheduled flights from London Gatwick to Orlando International Airport and Tampa International Airport. They also offer a daily service from London Heathrow to Miami International Airport. Connections from various UK and Ireland airports are available for a small supplement. World Traveller: World Traveller is our full-service economy class on flights beyond Europe, packed with all the comfort and benefits you expect from British Airways at an affordable price including: generous free baggage allowance, delicious meals and full bar service, personal entertainment system with complimentary headphones, family-friendly features and kids' activity packs. Virgin Atlantic offer daily direct scheduled flights from London Gatwick and Manchester to Orlando International Airport, they also offer seasonal departures from Glasgow. 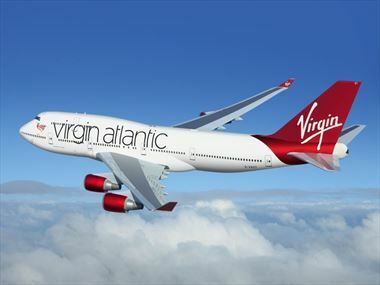 In addition to Orlando Virgin Atlantic offer a daily service from London Heathrow to Miami International Airport. Connections from various UK and Ireland airports are available for a small supplement. Premium Economy makes flying even more enjoyable. Enjoy dedicated check in, priority boarding, and a preflight glass of bubbly. There’s more space to relax, as your purple leather seat is one of the biggest in its class. It’s up to 21in (53cm) wide, with a 38in (95cm) seat pitch. It also has a footrest, a headrest and inseat laptop power. For dinner, choose from three delicious meals, all served on china, with stainless steel cutlery and linen. Once you’ve landed, you’re one of the first off the aircraft, and so are your bags. Upper Class. You can let your mood drive your decisions. Stretch out in your chauffeur driven car*. Choose to work or relax in the Clubhouse**. Make the most of having space to work on your flight. Stretch your legs at the onboard bar. Then, when it’s time to sleep, lie back on one of the longest, most comfortable fully flat beds in business class**. With exceptional privacy, comfort and service, you’ll arrive refreshed and ready for whatever the day has in store. *Chauffeur driven car service available at most destinations with selected Upper Class fares (J, D, I & C class). Mileage restrictions apply. **Lounge facilities vary at each destination.